July marked one year since Apple began allowing independent developers to sell their apps through the iTunes App Store. During this year that passed by, we have witnessed a frenzy from geeks all over the world to create a variety of applications for the iPhone. But are any of these geeks becoming millionaires selling inane applications such as “Rate a Fart 2.0”, which, incidentally, is selling for 99 cents? All logic points towards a firm no. Still that hasn’t stopped the App Store’s repertoire from reaching well over 50,000 apps and more than 1.5 billion downloads. The base and top of this pyramid consists of applications that cost less than a dollar. One might in fact be inclined to think Apple is running a digital dollar store. The best seller lists titles such as GloBall and Flight Control – both games. These are hardly the building blocks of something that can become as big as an Amazon or eBay. 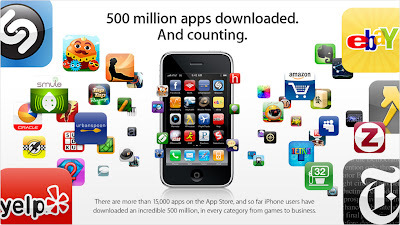 Besides, most veteran app developers around the world are saying that the app store is now very crowded. Getting noticed is therefore becoming even more difficult. 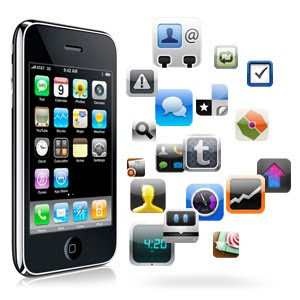 There are sites such as 148Apps.biz that even give app makers tutorials on how to market their applications. Tips include getting your app reviewed on some of the dozens of app review sites that have sprung up, such as AppScout.com. Making apps might be serious business or just something that geeks do on the side for fun or popularity. Yet, there are signs that more serious and utility-oriented apps are on their way. For example, the Quickoffice Mobile Office Suite that has crept in at the ninety-ninth position on the top 100 list. It’s a $12.99 application for creating, editing and synching documents and spreadsheets. There is also a $100-million dollar venture capital fund called iFund, that intends to “fund market-changing ideas and products that extend the revolutionary new iPhone and iPod touch platform”. However, the fund has so far managed to fund only five ventures. Considering the competition from Pre and Android that is expected in the near future, let’s hope the enthusiasm of app makers continues undampened.